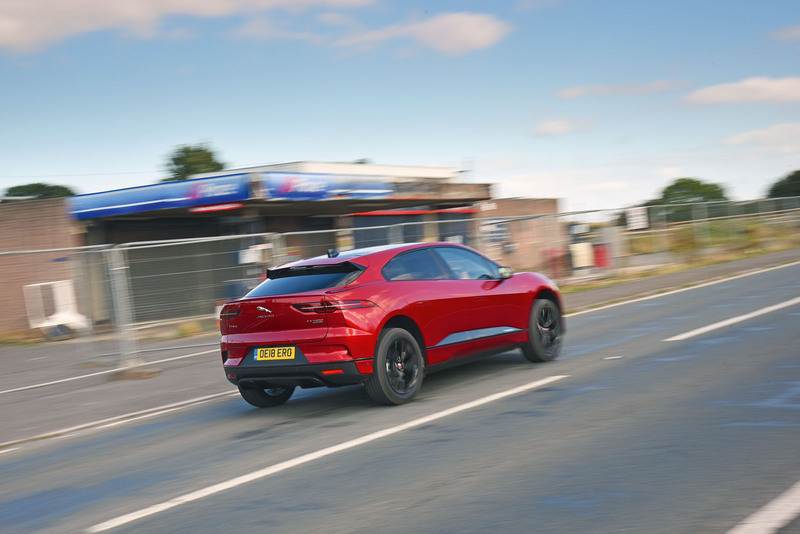 Jaguar I-Pace test: does driving style make a big difference to electric range? With brake energy regeneration set to ‘high’, the throttle becomes a delicate instrument, but one that’s a pleasure to play. “Like driving a Mercedes-AMG C63 at 5000rpm all the time,” is how Lane described the I-Pace’s slingshot performance. Indulging it is hard to resist. It’s hard to hold back. Here you are, driving a car with 395bhp and 513lb ft, but you need to drive it in a not-in-a-hurry kind of way. That isn’t because this is an electric car with a range minimal enough to send you into fretful anxiety within half an hour of getting in it, but because we’re conducting an experiment. Not a strictly empirical experiment, but one intended to find out how far you can go in an I-Pace if you drive it in a reasonable, speed-limit-observing manner, and how far you can go in one if, say, you’re cutting it a bit fine for a meeting. Some real-world driving, then, and we have two I-Paces for the purpose. Both are ready to set out from Autocar’s satellite HQ in Feltham, Middlesex. Both have been on charge overnight, both are indoors and enjoying the same mild ambient temperature (more on this later) and both have the same destination. Which is Hinkley Point, in Somerset, the site not only of an existing nuclear power station, but also of a completely new (and controversial) nuclear power station that’s currently under construction. The relevance, of course, is that some of the electricity generated by both these plants will be used to power, among other things, the rising numbers of EVs Hinkley Point also provides us with a realistic target. According to Zap-Map, a charger location smartphone app recommended by Jaguar, we have a choice of three routes. The most interesting takes in motorways, A-roads, urban traffic and country lanes. This trip amounts to 139 miles, which on the face of it should be well within the I-Pace’s official WLTP driving range claim of 292 miles. Mind you, along the way we’ll be making a few diversions for photography, which will further eat into our available range. Nevertheless, your reporter should be in for an anxiety-free drive behind the wheel of the red car. The idea is to drive the car normally but with energy saving very much in mind. Eco-driving won’t be foremost in the mind of the man at the wheel of the blue I-Pace. This is the car that’s going to be driven by road tester Richard Lane, who will enjoy some of its considerable performance on his way to our seaside rendezvous. For this reason, charging just before your journey is desirable not only because you can condition the temperature of the cabin, using the charging point’s power, but because the similar pre-conditioning of the battery improves its ability to give. “Ideally you’d charge the battery with the car cold, and then warm the car with pre-conditioning. Then you can get more out of the battery,” says Matthews. For this reason, he explains, “the I-Pace’s coolant system is made up of three temperature management systems which are mixed and matched to get the battery to an optimal temperature when you start to draw current”. After a night topping up on our identical chargers, the I-Paces’ ranges differ slightly despite the 100% battery reading. The blue car forecasts 252 miles, the red car 269 miles. That slight difference is about to be widened significantly – the blue I-Pace aiming for a swift arrival at Solstice services on the A303, where we’ll meet snapper Will Williams. Lane will drive his I-Pace in Normal mode, with occasional forays into Dynamic when the road invites it. The red I-Pace will remain firmly in its Eco setting, with the maximum regenerative effect engaged via the infotainment system. In this form, the twin motors can produce as much as 0.4g of deceleration, which is enough to ensure that the brake pedal rubber experiences little wear. And it doesn’t take long to be fascinated by the Jag’s urge to slow as you release the accelerator. It’s odd at first, but before long you’re able to avoid using the brakes, even if you must sometimes accelerate slightly to get to a junction until you’re better able to judge the ebb and flow of its progress. Even if you’ve driven an EV before, it’s unlikely to have provided deceleration this powerful. The novelty is intriguing. This high regeneration mode also eliminates the energy-wasting creep of an automatic, besides running assorted sub-systems in energy-saving states. Your husbandry of Amperes can be viewed in the infotainment system by unearthing (and ‘unearthing’ is the word for locating information within this obtuse human-machine interface) the graphic which rates your use of accelerator, speed and brakes. By the time we reach the M3, I discover that I’ve already achieved five out of five on all three metrics, to score a 100% rating. Only the need for some sudden, traffic-avoiding acceleration knocks this back to 99%, suggesting that it’s very easy to reach a top score. At Solstice services, 67 miles later, the speedy blue I-Pace has used 121 miles of its range and has 65% of battery life remaining. The red I-Pace has used only 32 miles of range, although its battery reserve is closer to the blue car’s at 70%. By the time the cars are close to Hinkley Point, the range of both has been depleted considerably – it would seem for several reasons. The most obvious is that they have covered more than 80 miles, this the distance between the services and a car park near Hinkley Point A power station, but it also seems that continuous cruising on the motorway, which barely involves any regeneration, takes quite a toll on the driving range. In fact, the blue I-Pace almost doesn’t make this car park at all. Lane suffers sufficient range anxiety to divert to a nearby charger, which turns out to have the trickle-juicing 7kW Mennekes connector. He takes the risk of abandoning this to reach our rendezvous with a mildly alarming 29-mile range, compared with the red I-Pace’s 75 miles. The Zap-Map app tells us that the nearest charging point with the fast-charge CCS connector is at Sedgemoor services 33 miles away. However, the app also suggests that the chargers in both the north and southbound service areas are non-functioning. We call Ecotricity’s Electric Highway operation, and a very helpful chap tells us that the northbound charger is now functional, and that we need its app, not Zap-Map’s, if we want the very latest charger status. It’s fast becoming apparent that loading your phone with apps and contact numbers is wise if you’re an anxiety-prone electric vehicle driver. Lane makes Sedgemoor with 12 miles of range and 8% in the battery. “It was very stressful,” he says of the last leg of a 198-mile journey on the one charge. 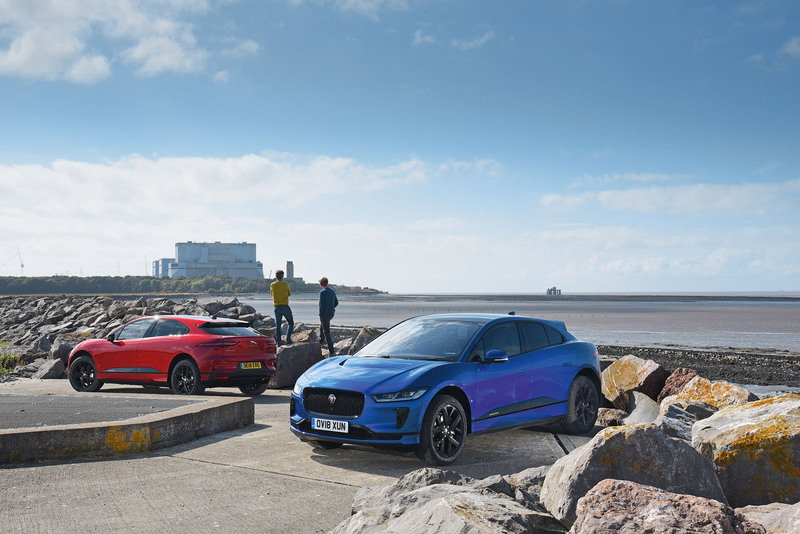 The red car makes Sedgemoor with 56 miles and a 26% reserve, and must initially make do with a slow charge (10hr 28min for a full recharge, estimates the Jag’s readout) because Lane has plugged the sole 50kW charger into his near-volt-less I-Pace. We are now 140 miles from Autocar HQ, prompting Lane to buy another standard 45-minute charge, and coffees all round while we wait. With this 90-minute double dose, his range is now 155 miles. I only give the red I-Pace one 45-minute charge from the 50kW point, taking the range to 139 miles. It’s a mile short of the distance from Sedgemoor services to the office but I reckon I can make this up, and more, by slinking down the motorway at 60mph. However, by the time Chieveley services appear 87 miles later, I’m down to a 12-mile range, and another coffee opportunity, albeit one not necessarily wanted. A further 45-minute boost takes this to 66 miles, which should be enough to cover the final 49 miles to the Autocar office. In fact, I get there with 23 miles to spare and 11% in the battery, the regenerative moments through urban streets extending the Jag’s reach. That doesn’t lessen the tension much, and nor does the fact that the Jag’s sat-nav is unable to tell you what type of charger it’s near. Instead, it can only indicate the location of undefined power sources. 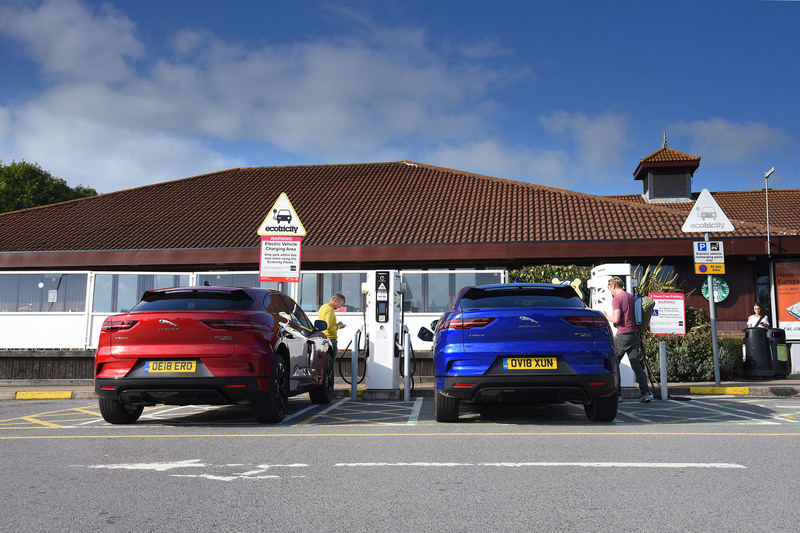 By now I have been on the road 13 hours to complete a 328-mile journey, and although a good chunk of that time was occupied with photography, the reality is that from Sedgemoor services onwards, I have had to drive far more slowly than the I-Pace is capable of, in order to avoid having to stop for a third charge. Lane needs two more charging stops to reach his home in London. So, what have we learned? That driven modestly, the red I-Pace has covered 239 miles on a charge. The briskly driven blue I-Pace needed an electron infusion at 208 miles, which is not vastly less given that it was driven a lot harder. The distance covered by the red car is obviously short of the manufacturer’s claimed 292-mile figure, but it’s not bad and makes this EV a lot more usable than many examples of the breed, a point underlined by the distance covered by the blue I-Pace. Although the last 40 miles of that car’s journey to its first recharge were very gingerly driven, it appears that you can regularly indulge all that power and still have a reasonable three-figure range. That makes the I-Pace a very viable electric car, albeit one that has also been designed for a charging network that is only now beginning to appear across the UK. When 100kW fast chargers are available, rather than the 50kW dispensers we used, you’ll be able to drink that coffee rather more speedily while gaining a range boost. In the meantime, I-Pace buyers will need the early-adopter’s more patient mindset if they’re not to face occasional frustration. What we’ve also learned is that despite an overstiff ride, a flaky infotainment system and sub-standard minor ergonomics, this is an impressive EV, one whose performance and handling make it hard not to arrive early for that coffee of necessity. Pre-conditioning your EV, hours before you get into it, comes first. That’s easy if you have a home charger and (in the I-Pace’s case) the smartphone app that allows you to specify cabin temperature. That way you start with a 100% charge, and give the air-con the task merely of maintaining your chosen temperature rather than having to use power to shift the cabin climate from extremes of hot or cold. 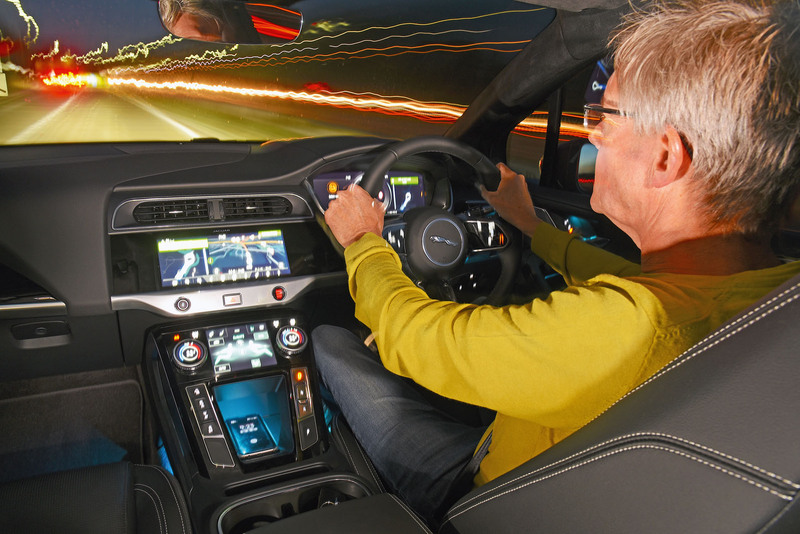 Selecting Eco modefrom the drive settings is obvious, but also very helpful in maximising the motors’ regenerative braking when you come off the throttle. Using the hydraulic brakes in addition to motor braking wastes both momentum and your battery’s charge. Anticipating road conditions to maintain momentum is good, and avoiding steady state, high-speed cruising (not always ideal or possible, of course) will also help to preserve your battery’s range. Planning ahead is vital too. Know where you plan to recharge, and check that the charger is actually working via an app. The Ecotricity and Zap-Map apps can help. The need for planning will diminish as more high-output chargers are deployed in the future. At present, unless you own a Tesla and thus have access to the company’s dedicated Supercharger network, there is no ultra-fast-charging network in place to support the rapid roadside recharge needed for the big-battery, long-range EVs that are being planned by most of the premium car makers. To fix that, BMW, Daimler, Ford and the Volkswagen Group have joined forces to create Ionity, a network of 350kW charging stations. The plan is to have 400 sites in total in Europe by 2020 with about 40-45 of them in the UK. The first UK station is due to open this month in Maidstone, to join eight already operational on the continent. 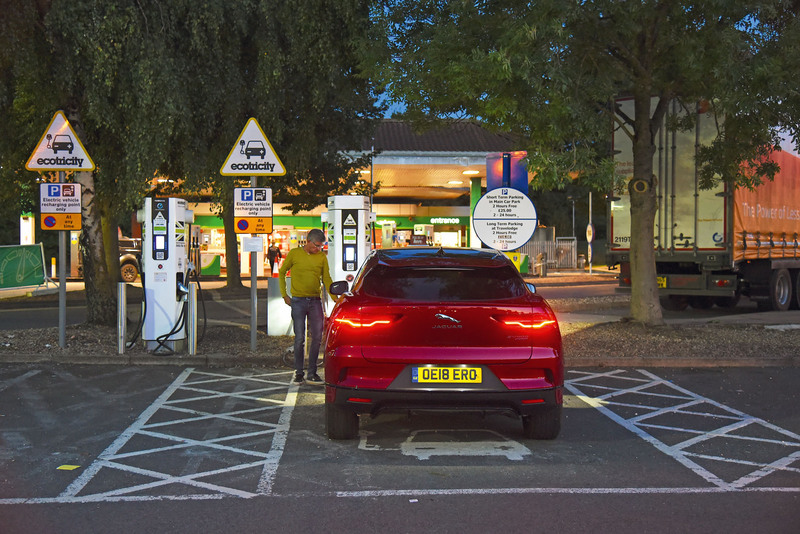 Stations will be around 62-75 miles apart, in motorway service areas, and each will contain about half a dozen charging points. 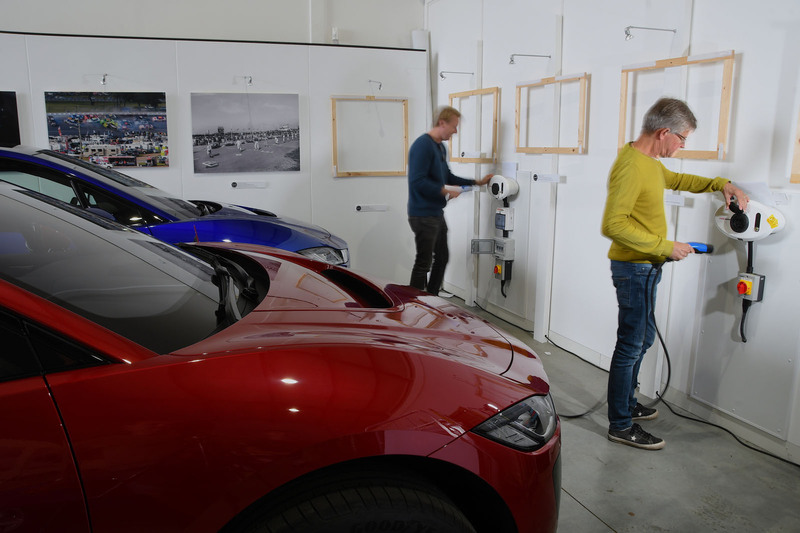 A five-minute charge from one of the 350kW points should give around 62 miles of driving range, providing the car is capable of accepting full-power charging. The charger will automatically operate at the fastest rate the car’s batteries can handle safely. 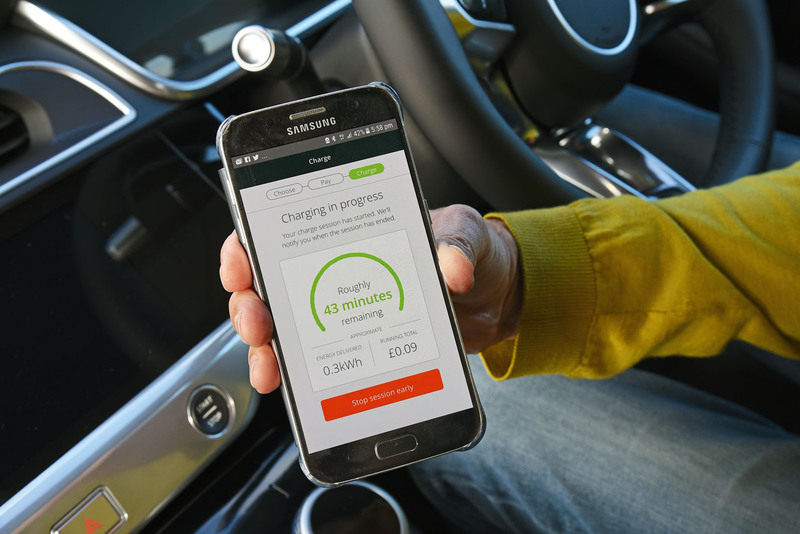 A standard cost for the chargers is in place: £8 per hour in the UK or €8 on the continent. The key reason for the creation of Ionity is that the manufacturers behind it do not have to wait for a suitable charging infrastructure to emerge from various governments. 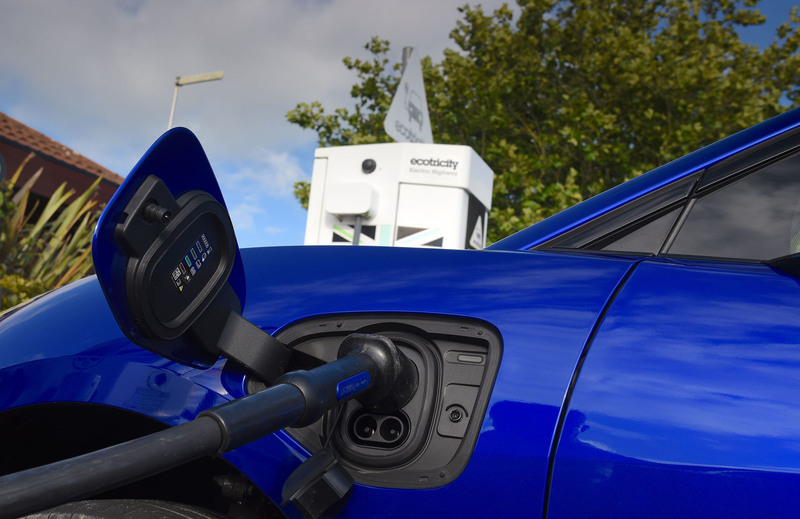 The company hopes its roll-out will help to standardise the Combined Charging System connector across the industry. At present, there are four different types of charger. Ionity is open to the prospect of working with other car makers, including Tesla, but has so far resisted investment from oil companies. In addition to Ionity, the E.ON and Clever networks will install 220 180kW stations across Europe by 2020, Podpoint plans to install a series of 150kW chargers across Britain and the EU-funded Ultra-E consortium is installing a 175kW ‘corridor’ from the Netherlands to Austria. Shell is involved with a plan to install 40 high-charge stations in the UK by 2020. These are in addition to the 1656 50kW chargers, as used on our Jaguar I-Pace drive, that are currently available in the UK. Shut off everything that uses electricity - including climate control. You really need to see clearly through your window's - employ electricity only for that purpose besides driving. If it's cold you can dress warmly - if it's hot you can take off your jacket, sweater - etc. Sure, most certainly beging the journey fully charged. In the electric future, people shall have to evaluate their use of energy vs. their range - all of their energy use. That may mean if they're in hurry, people accept reduced levels of comfort - say uncomfortable interios temperatures as climate control really saps energy. They can also skip listenin to musik or to have any other car entertainment on. Please tell me why I should spend an excessive amount of money on an EV, and then compromise my comfort or enjoyment of the journey by switching things off and wearing lots or little clothing, and not using the in car entertainment system, people shouldnt have to compromise on energy vs range, and whilst they continue to have to compromise a pure EV is not the answer. 13 hours, at least 90 minutes of which was spent refueling to travel less than 400 miles is a joke, most ICE cars can do that journey without having to stop even once, some will do the journey there and back without refueling. As charging times come down and the netwrok of fast chargers increases, the issue of range anxiety will reduce. I wonder how many locations in Great Britain there were for refuelling in 1918?